The Odor-Proof barrier bag, OPSAK, has all of the features of the LOKSAK plus a new-generation barrier film that is completely odor-proof. Now you can carry food and toiletries virtually undetected. Great for preventing animal intrusions at the campsite. Specifications: Certified waterproof to 60 meters / 200 feet, Tested and approved by the Navy Experimental Diving Unit, Safe. 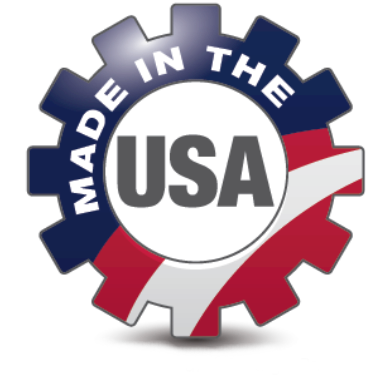 Our medical grade film is FDA approved, Temperature rated -40F to 170F, Highly reusable and 100% made of recyclable Polyethylene. Great for storing camping and food supplies, Pack out body waste, Long term bio-hazard storage, store Tobacco products, Rehydrate or cook dry foods with boiling water, etc. 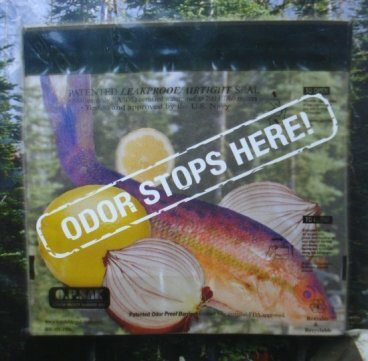 I'm sure you will come up with many more ideas for a odor-proof bag! They are available in two sizes, 9" x 10" or 12.5" x 20".